Recently relaunched to reflect the shifting relationship between technology and lifestyle, T3.com's sophisticated new design and additional premium content makes it the ultimate destination for smarter living. Showcasing the latest products from watches to wearables, fitness to fashion, and audio visuals to cars, in an authoritative and inspiring way, we ensure our readers only ever buy the best of the best. The new T3.com showcases literate, incisive buying guides and carefully curated deals posts, alongside the very coolest new products across style, living and auto plus there are dedicated new channels for smart home, buying guides, watches, travel, fitness and more. We truly do have the best of everything. 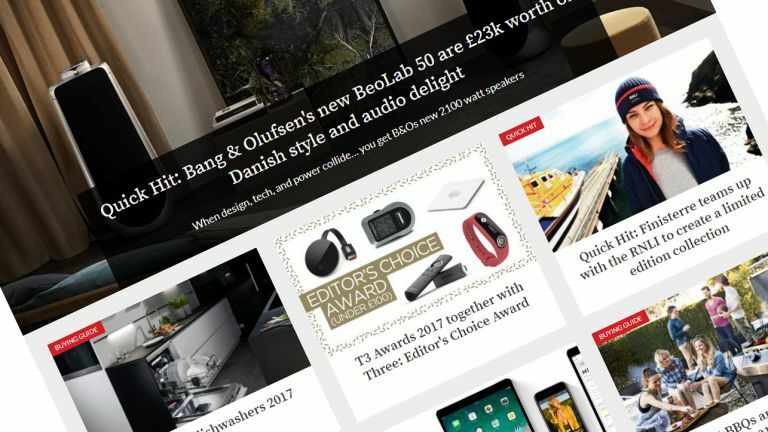 “T3.com is the UK’s leading lifestyle technology website," says Dan Grabham, editor of T3.com. "Now we’re taking our content wider and deeper, helping our readers discover more beautiful things that help them make the most of life." T3.com caters for a discerning audience of affluent early adopters, who spend a substantial amount on new products each year and have to have the latest gear first.